New Delhi, Dec 19: NOTA (None of the Above) option got 2.5 times more votes than the Aam Aadmi Party (AAP) in the 29 seats that the party contested in Gujarat, according to an election result analysis by IANS. 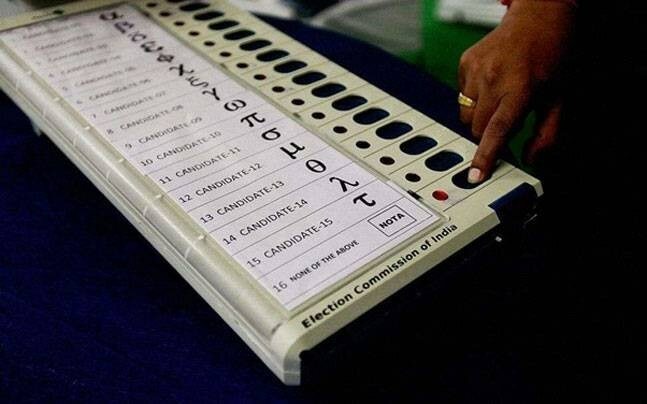 The NOTA is an option in the Electronic Voting Machines (EVMs) and by registering a vote under NOTA, a voter can express his/ her rejection of all candidates contesting the election from any given constituency. While the AAP got a total of 29,517 votes in the 29 seats, people used NOTA 75,880 times in these seats. The party got more votes than NOTA in just one seat -- Katargam -- it contested. Here, the AAP got 4,135 votes while people used the NOTA option 1,693 times. Also, in 20 seats the party got votes in three digits and in 16 of these, it polled less than 500 votes. The lowest vote count the party got was 243 in Ankleshwar, where people went for the NOTA option 2,732 times -- more than 10 times the votes AAP got in the seat. Gujarat AAP spokesperson Harshil Nayak told IANS that the major reasons for the defeat of their candidates include party's late decision to contest the elections and absence of the AAP central leadership during the campaign. "There was confusion over whether to contest the election or not and we decided very late to fight the election, which affected us," Nayak said.